4:56 AM Five weeks before the start of the Iraq War, Robert Byrd took to the Senate floor and wondered out loud: "This chamber is, for the most part, silent -- ominously, dreadfully silent. There is no debate, no attempt to lay out for the nation the pros and cons of this particular war. There is nothing. We stand passively mute in the United States Senate, paralyzed by our uncertainty, seemingly stunned by the sheer turmoil of events." Congress as a whole became impotent during that period, and history is now repeating itself with the prospective war on Iran. There is one Republican Congressman who is willing to question the Bush administration, however, a man who is not cowed by the post 9-11 atmosphere in which any military response seems to be justified. He is a man with deep military experience and who has spent time studying the military and the U.S. Constitution. His bravura performance in the debates leading up to the Republican primaries has discredited the war hawks in Congress as he continues to expose bad leadership, bad policy, and (in the case of journalism) bad reporting. 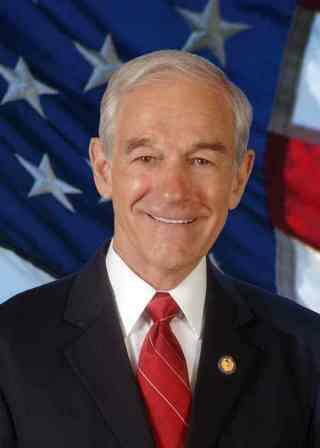 If you haven't visited Congressman Ron Paul on the Internet you should. A lot of readers will sharpen their minds on the whetstone of his sturdy pen. 10:52 AM Right now I'm finishing several writing projects. Or trying to. As I've said before, there's no better way of getting your thoughts together on any subject than by publishing them. It makes sense to me that if something's worth writing it's worth other people reading. Which is one reason I've begun writing for a more "popular" audience. There's a simple logic at work here. Not everyone has access to the I-Net, where they can read my more "popular" essays. And even those who do have access to the web often prefer a codex to a computer terminal (I do). It is a sacred tenet of blogging that what you post one day is forgotten the next. To prove my point, do any of you really remember anything I posted last week? Which brings me back to book publishing and why I'm working so hard on my writing projects. By the way, I've just turned my series on Anabaptism into a book, expanding the original 8 essays into 25. You may recall that series, the first of its kind on DBO except for our Ethiopia reports. A major publisher has already expressed interest in the project. Now, I'm hardly very good at writing "popular" books. But I just happen to think it's kind of stupid to squander an opportunity to raise people's consciousness about a phenomenal group of sixteenth century believers in whose blood some pretty important doctrines were revived. Like them, I want to peel the onion. I want to ask questions about all the fundamentals that go on in our churches. I'm not the only one doing this, of course. To my delight, I've discovered several websites that are getting the good word out and, in fact, are doing a better job of it than I am. I praise the Lord for that. I predict that someday these web authors will be writing and publishing their very own "popular" books -- at least I hope their modesty doesn't prevent them from doing so. Here I have in mind A.K., S.S., M.M., and T.S. for starters (sorry about the abbreviations, but the "guilty" know who they are). I acknowledge -- no, I proudlyacknowledge -- that I am a big fan of theirs and that I would love to get a copy of their "popular" books and give them out as gifts. But, alas, this will never happen unless they publish! 8:55 AM Yesterday I had a long and delightful discussion with a Pentecostal preacher who also works as a chaplain in a hospital in South Carolina. He had been visiting the assembly where Becky and I spoke yesterday. He asked me what I believed about the gift of tongues. I told him that I usually teach an entire two-week series on the history and theology of Pentecostalism and the Charismatic Movement in my introductory New Testament class on the epistles, including the exegesis of specific texts such as 1 Cor. 12-14 and a myriad of passages from the Book of Acts. I quoted Paul, "All do not speak in tongues, do they?" I acknowledged the possibility of a genuine gift of the Holy Spirit today but noted that I had never sought the gift of tongues nor had I ever spoken in tongues (unless one considers French, German, Spanish, etc. as "tongues"). I said, "My view of sanctification can be boiled down to one statement: The Christian life is Jesus Christ, period. Jesus Christ plus nothing." On that we both heartily agreed. My pastor friend did not become the proselytizing Pente, nor I the proud Pharisee. We had come together for one purpose: to learn how we could better serve the suffering church in Ethiopia. Both of us have been born again, birthed anew spiritually. We both realize that we are judged by Jesus' cross, not by our rigid negativisms. No, I do not speak in tongues. No, I do not encourage others to do so. But just as importantly, I have come to realize that our greatest strengths as evangelicals (our emphasis on biblical inerrancy, on the new birth, on morality and ethics) have also become our most glaring weaknesses (becoming proud, smug, and self-satisfied, as if we are better than other Christians). Instead of dialoging with those with whom we disagree, we remain psychologically and spiritually immature, blind, and shallow. Yesterday was a refreshing exception to the rule, and I thank God for it. 7:19 AM Question: What happens when you mix a pinch of fall colors, a spoonful of wonderful friends, and a dash of sacrifice for a good cause? Answer: A fantastic weekend. On Saturday the John and Julie Austin family hosted a barn dance and fund raiser for Ethiopia in Abingdon, VA. Over $1200 dollars were raised to help support our new outreach among the Orthodox in Gondar. As always, Nathan called a superb dance. His repertory included the arm-twisting "oyster and clam" (below). On Sunday morning we spoke at the Highland Christian Fellowship in Boone, NC. With great emotion Becky shared about the life and death struggle in Alaba, Ethiopia, which is 99 percent Muslim. I grow more and more convinced that we have a great deal to learn about discipleship from our Ethiopian brethren. Our hosts in Boone were Matthew and Dana McDill and their five beautiful children. Here Nathaniel is telling us where God lives. My thanks to the Austins and the McDills for their preparations for our visit and for their warm hospitality, and to all who made our weekend so fantastic, including our new friends atHebron Colony. I especially want to thank those families who volunteered to pray, by name, for the six Ethiopian evangelists we have sent out who are working among the Orthodox in Gondar. This weekend was so great because it was all about relationships in the Body of Christ. Praise be to God for His church! The jaws of hell will not prevail against it. 9:22 AM Heaven's gyroscope dances forward, this time bringing some much-needed rain, so far about three inches. Boy are we grateful to God. 2:23 PM The latest addition to our home page is called The Astounding Power of Poverty. 7:55 AM If you are a SEBTS student, please take a moment and visit the website of one of my closest friends and mentors, Bill Bennett. Bill is a choice servant of the Lord who feels called to mentor the younger generation of servant-pastors and who preaches what he practices. Bill joins Bo Reicke of the University of Basel as one of the key mentors in my own life. 7:29 AM Here are two openings in New Testament: Erskine College and Regent University. 7:24 AM An inky and mysterious world lies behind the modern use of “preacher” for pastor-teacher and “preaching” for what the New Testament would call teaching. So I think it’s a wonderful serendipity that I stumbled across a series of blog posts on preaching – what it is, and isn’t. Here’s part 6. Read it and be blessed. 7:17 AM The countdown to war with Iran continues, based on deep misunderstandings and false perceptions. Maybe I’m getting old and cynical, but I despair of America’s capacity to go into other countries and “set things straight.” Even the neocons, of whom I was once a card-carrying member, agree that Iraq is a mess. And now we are talking about starting another war. Lest we forget: Iran had nothing to do with 9-11. It possesses no nuclear weapons and even if it did would be insane to use them and invite massive retaliation. I am neither defending Iran nor the US. I just happen to believe that our nation must return to the important issues of truth-telling in politics (rather than posturing and self-righteousness) and Gospel-telling in the world (remember Jesus’ words: He said to go to all the nations, including those we deem evil-axis theocracies). Americans ought to be ashamed of the pedestrian musings we read about in our papers, and Christians ought to be offended by calls for yet another war in order to hasten Doomsday and the return of Christ. Quickie shortcuts to societal reformation inevitably fail. 7:14 AM Pens to use when marking your Bible. But when we find out in heaven what the perfect translation would be, I won't need my linguistic or exegetical skills anymore. In fact, they will disappear and I will be left with what can last forever, whatever was done because I loved others. We can’t love people far away from us and flee our calling to love people who are close. I may go to the ends of the earth to spread the Gospel, but that is meaningless if I do not deal with my unresolved hostilities and unforgiven resentments in my own home and community. So, too, “going witnessing” to my neighbors is worthless without the practical, down-to-earth, fleshing out of convincing lives. And that is a very convicting thought. 7:10 AM “The devil’s boots don’t creak.” – Scottish proverb. 7:00 AM Over at the Better Bibles Blog note is taken of Robert Thomas’s negative views onlinguistics. (Scroll down to the end of the entry to find the link to Thomas’s essay.) Moises Silva and yours truly get knocked about pretty hard in his article. Being the non-linguist that I am, I probably deserve some of Thomas’s criticisms. Usually, though, it’s the linguists themselves who question my work. After all, what right does Dave Black to talk or write about our field of study? The answer is: none. I am not a linguist and have never claimed to be one. I wish, in fact, that a trained linguist had written what was probably the first book integrating New Testament Greek and the science of linguistics. Since, however, no one had done that job, the task fell upon me, a non-expert. Others much more qualified than I have now taken up the mantle, and we can be grateful for that. My own feeling is that all of us need help in understanding how languages work, and it is here that linguists can make a useful contribution. So I don’t mind friends like Bob Thomas writing about me. In fact, I have my advanced Greek students read his essay. It’s good for them to get both sides of the issue and then decide for themselves whether or not the science of how languages work can be usefully integrated with traditional biblical exegesis. 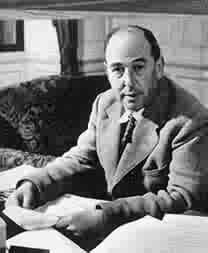 7:13 PM Brief reminder: Our C. S. Lewis conference is fast approaching. For more information, go here. By the way, I do like to quote Lewis from time to time. 8:53 AM Thirty years ago I was sitting in my seminary library in California, underwhelmed by the books on my desk. I was in the process of writing a masters thesis on the destination of Ephesians and had come face to face with the group-think mentality that characterizes so much of NT scholarship. Something inside me told me there was something wrong with the "encyclical theory" -- the belief that Ephesians was written not for the Ephesian church but for a group of churches in Asia Minor. Both the strong textual evidence in favor of "in Ephesus" in 1:1 and the internal evidence in the letter itself convinced me that the scholars were wrong on this issue and that tradition was right, at least in this instance. That realization would shape the rest of my life. What I discovered was that many of the positions ensconced in textbooks and commentaries were challengeable and even falsifiable. The wake-up call in the library set me on a winding journey toward creating an approach to teaching that would ask my students to think for themselves rather than parrot the ideas of others. Returning to the US after my doctoral studies in Basel, I was determined in my teaching to try and expose my students to as many legitimate interpretations as possible and then let them make up their own minds. I began publishing articles in various journals, essays that challenged the consensus opinio in the fields of textual criticism, the synoptic problem, and authorship. Since then, my teaching career has been a long and varied road, but I've always tried to stick to my initial vision: equipping students with the tools necessary to make intelligent decisions based on the evidence. After 31 years of teaching I am aware that I have often failed to live up to this standard, but it's still my goal. None of this is rocket science. Yet it goes against some of the unspoken assumptions of educational theory and policy. It is a major reason why I give essay exams and require term papers instead of asking my students to take multiple-guess tests. Tomorrow, in fact, I'll be spending the day grading about 100 lengthy essay exams and it will NOT be a chore. I'm very thankful to the Lord Jesus for the hard work my students put into thinking through the issues. By the way, it's good to be back blogging again after having the quintessential vacation (even a bit quixotic, you might say). No, I'm not done with my book project yet, but I see the tunnel at the end of the light. 7:48 AM Right now I'm on semester break. During this time I'll be doing some traveling and writing. I have a major publishing deadline on Nov. 1 and I intend to meet it. I'll also be taking a break from blogging. Until we meet again in cyberspace, may God lean over the balcony of heaven and smile on you and your family. I leave you with my latest essay: Blogging, Politics, and Servitude. 2:14 PM Meet Napoleon, everyone. He's our newest billy. Nate got him from some friends in Bedford, VA. You should have seen Napoleon when he met his 10 Josephines. 8:47 AM I just received word from the editor at B & H that our book on the Last Twelve Verses of Mark is set to be released on Sept. 1, 2008. Join me in thanking the Lord. 8:40 AM I've always said that being a teacher is the greatest job in the world -- the most fun you could have legally that I know of. You get to share your passion for learning by empowering students with some of the most important tools for life they will ever acquire, and you get paid for it. I decide what to teach and how. I have total freedom to speed up or slow down depending on the aptitude of my students. As I said, it's a great job. I've gone through several stages as a teacher. I started out by using others' materials and textbooks, adapting them when I thought it necessary. I never felt comfortable doing that. So I wrote a few books that packaged the material the way I felt it should be taught (at least in my classes). My hope was that my students would not just acquire information but that they would retain what they worked so hard to acquire. If I did not make this one of my goals then I would not be doing my job. I am a big believer in the idea of empowering and equipping students to think for themselves. But learning is more than this. Students, take what you are learning and use it in humble service to Jesus. Do it today! If you're succeeding in Greek, help someone who isn't. If you are in our "Jesus and the Gospels" class, share with others what you are learning about the most beautiful life ever lived. Ph.D. students especially, wear your considerable learning lightly, keeping in mind the words of Paul in Rom. 12:16 (remember when we studied that text in class?). Let's all of us "give up our wisdom for Christ" (1 Cor. 4:10), placing our paltry knowledge in His service and watching Him use it for His praise and glory. Amen? 1) While at Duke today, Becky was told that an American-run eye clinic has opened in Addis Ababa and that they might be able to help our son. For sure we'll look into it. Thanks for your prayers. 2) If you attended the Last Twelve Verses of Mark Conference on campus last April I've got some very good news: The papers will definitely be published by B & H Books. I hope to have the edited papers to the publisher in mid-November. Allow for at least a year before the book sees the light of day. 3) Today we said goodbye to Nathan who left for the annual Jeb Stuart Civil War reenactment in Stuart, VA, over the weekend. As usual he will bugle and call Saturday night's period ball. For information on the event, including a schedule and directions, go here. 4) Becky and I are about to sit down and watch one of our all-time favorite movies: Rear Window. 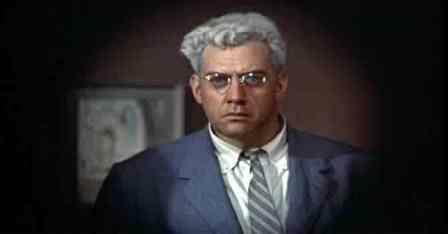 Can you ever forget the first time you saw the scene in which Thorwald looks right into the eyes of Jimmy Stewart? What a great flick. 5:33 PM I live in a great community (I know "great" is overused, but it applies here). I got some new tires put on Nate's van this afternoon. Not one, but 2 dogs lay sound asleep as I pulled into Newton's Tires, in the middle of the farms that dot the countryside in Mecklenburg County. The tire store (which is run out of a home) is typical of the local, independent, unique businesses that I am biased for. It's a mom and pop (and even grandpa) outfit. I'd take it over a big-box store any day. Want a Wal-Mart? You'll have to drive 20 minutes to the city of South Boston for that. Employee turnover in Wal-Mart stores is over 50 percent a year. The Newtons have never had turnover, and they've been selling tires even before the things were invented. I must have been taking stupid pills for living in the city for so long. The people who moved to our area a few generations ago built a community. Tell me if I'm out of line here, but I believe life-style is a choice. A significant choice. 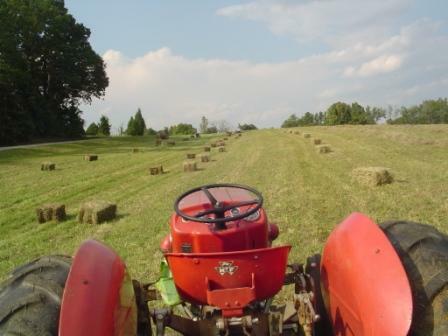 Most people have never considered a rural lifestyle. Perhaps most of them aren't cut out for it in the first place. Gen-Xers have a tendency to buy junk at Wal-Mart and then take their kids to McDonalds to feed them junk. I see this happening even here in the country. But not at Newton's Tires. The dogs hadn't even rolled over when I pulled away with 2 new tires and headed for home. As I drove along I relaxed my foot on the accelerator and savored the sight of the round bales and fallen leaves and thought, "I'm sure glad I live here." It's perhaps the last place in America where you don't see people walking around with so many bleepers, phones, and pagers clipped on their belts that they look like telephone repairmen. 2:57 PM What do these countries have in common? These are the names called out to me yesterday when I asked my New Testament class the question, "In what countries have you been to on a mission trip?" How about that. Methinks SEBTS is a Great Commission seminary in more than name only. And just think: I get to teach these men and women. Made me feel like the fat man who just saw a Fed Ex truck pull up with a load of Twinkies. 7:54 AM The latest addition to our home page is called Drawing on the Bank of Heaven. 7:50 AM How well do you know the words of Jesus? Find out here. 7:42 AM Thursday morning shout out to Craig and Mark for winning the 110 Award on their first Greek exam. Craig selected as his prize It’s Still Greek to Me, while Mark picked The Myth of Adolescence. Congratulations to both of you. 7:40 AM George Fox University announces an opening in Old Testament. 7:32 AM Glenn Greenwald reviews A Tragic Legacy: How a Good vs. Evil Mentality Destroyed the Bush Presidency. 4:15 AM The latest addition to our home page is called My Horses, My Teachers. 4:12 AM If I could choose a time in which to be alive, it's right now. As lawlessness and wars increase, we are beginning to see the fulfillment of Jesus' words in Matthew 24. Until He returns, however, we are to preach the Good News to every creature. We must become strategists for Christ and for the kingdom. We must make whatever sacrifices are necessary in time, resources, and prayer. My one goal in life is working with others to evangelize, edify, and make disciples. That's why I'm so excited about tomorrow's 12:30-3:20 New Testament class. Becky will be joining me as I teach on "Jesus, Master Missionary" from Matthew 9. We'll discover together his methods and motives for missions. We'll also talk about the work the Lord Jesus is doing in Ethiopia and discuss a bit of our philosophy of missions. Lots of slides and video clips too, as well as display items from the Horn of Africa. If you're interested, I'd like to personally invite you to be our guest during this class. We meet downstairs in the chapel building (Binkley 101). I hope to see you then. 4:05 AM Wayne Lehman attempts the impossible and gives a one-word label to your favorite Bible translation. One query: Wayne, what would say about the ISV New Testament? Just curious. 4:00 AM I see that James Dobson & Co. are now threatening to support a third party candidate should Rudy Giuliani become the Republican nominee for president. This is a good thing. Religious conservatives should definitely NOT be happy with the GOP front runners. They are right to refuse to support a pro-abortion nominee. But remember that Ron Paul is still in the GOP race. No "lesser-of-two-evils" he, unless, of course, you're pro-war. 7:54 PM Drew Maust has some sage thoughts on the joys of ruminating. 7:22 PM Anthony Gregory reviews Nemesis: The Last Days of the American Republic. By the time a three-quarter waning moon rose in a clear starlit sky a few minutes before midnight, eighteen men, some in pairs, some alone, were groping their way through the Taunus forest, most of them southwards, but Wings towards the north. 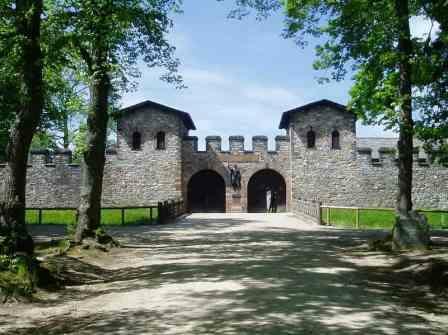 He planned to head north for seven miles to an old Roman ruin, the Saalburg, where he had been on one of the all-day camp walks in the forest. From there he aimed to bear west to try and cross the Rhine at Koblenz, then work down the Moselle Valley into France. Several years ago a friend and I drove from Giessen to Oberursel in the hopes of finding Dulag Luft (more on that later). Afterwards we visited the Saalburg, the Roman ruins described by Sydney Smith in his book. Today the Saalburg hosts a fantastic historical museum and is a center of Roman archaeology, much like Kaiser Augst in Basel. Its construction in 90 AD as a Roman outpost enabled the Roman legions to make sallies into territory occupied by the notorious Germanii (German tribes). The Romans never could conquer the Germans, a fact which explains why I am speaking English today and not a Romance language (as people do wherever the Romans were successful). Today the Saalburg has been completely restored to its former grandeur and is truly a splendid site to visit. 7:13 PM Our fifth Sunday singspiration was held last night at Averett. Here pastor Murray greets the churches represented. Brother Pat led the congregation in hymns. The Averett Men sang several Gospel songs. After the service was over at 8:00 pm, the men from the various churches continued to sing around the piano until 9:00. I know of no other group of men that enjoys singing as much as our cadre of country rednecks. 7:01 PM When Becky and I moved into Bradford Hall 4 years ago we had no idea what kind of a community we were joining, other than the fact that it was rural and that the economy was economically depressed. 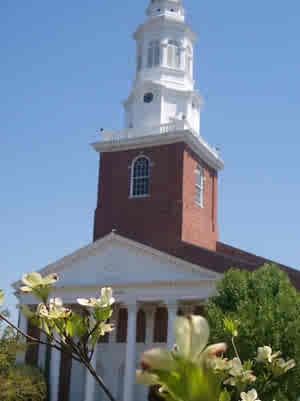 We visited various local congregations before settling on Averett Baptist Church to be our home church. It's the nearest Baptist church to our farm, only some 3 miles to the south. Many of our neighbors belong to our little congregation, and most everyone else is a member of some other local Baptist church. This is Baptist Country, to be sure. With the turf comes a lot of cultural Christianity, but also some really great people. Becky and I have come to realize that we are the most blessed people on the planet. Not only do we live in a wonderful community of like-minded people, we get to be involved (along with millions of other believers) in Great Commission work and even get to report to churches in our area about what the Lord Jesus is doing in the world. Yesterday morning Becky, Nathan, and I packed up the car and drove about 45 minutes to one of the most historic towns in all of Virginia, Charlotte Court House. You may recall that Charlotte County is the only county in Virginia without a stop light. Look at how beautiful and proud the old court house still stands today. Nate was commenting that any town whose historic buildings are all made out of brick was probably quite wealthy in the ante-bellum period. Charlotte Court House may not be as prosperous today, but it has not lost its beauty or its charm. The design on this old inn in the heart of town is typical of the Federal period. You can see how immaculately preserved the building is. Most everything in town looks as pristine. The monument to the Confederate dead stands as as sentinel in front of the court house, along with a period canon. I do not idealize war, even that war. War is always a terrible thing to resort to. Our assignment in this historic town was to speak at Mount Tirzah Baptist Church, where two of the Lord's choicest servants had invited us to share what the Lord is doing in the far away nation of Ethiopia. We felt right at home with Matt and Liz and their 3 sons in their new church home. Their congregation is just a bit larger than Averett in Buffalo Junction, their building as old-looking as ours, their people every bit as gracious and friendly. During the Sunday School hour Becky and I were busy readying all of our equipment for our presentation. Just before the service began these children had been selected to ring the church bell exactly 11 times. During the meeting itself Nathan played the organ and sang in the church choir. I had many people tell me afterwards that they were delighted to hear the organ being played again. They even tried to convince Nathan that he needed to become their regular organist. Matthew began the service by reading a Psalm and a portion of Philippians. He showed how the Gospel is in both the Old and New Testaments, and that missions has always been on the heart of God. Becky showed slides and video clips of our work in three places: Burji, Alaba, and now North Gondar. Her presentation lasted over an hour and nobody complained about the time. Before the service we were treated to a church-wide breakfast served in the fellowship hall as well as a covered dish lunch afterwards. Over 700.00 dollars were raised for the Lord's work in Ethiopia in a special offering.